Keeping healthy throughout life is a tough business. Or maybe not. Maybe it is really just about habit. If you are careful about your diet 80% of the time, you should keep relatively well. If you exercise regularly and keep an eye on your weight, you should be in fair nick for most of your life, even into old age, bar hereditary illness or unforeseen accident. If, when you are fairly young, you set specific rules for ensuring you remain fit and well, then your bones will surely follow your lead and also remain healthy and strong. Unless of course, you break them. There are two groups of most likely to break bones: the youth and the elderly. The youth are often in line for Darwin Awards when they manage to crack theirs; the elderly however may be suffering from thinning bones and so are often not at fault except for the careless placement of carpets or unsuitable shoes. While some daredevil antics are expected from younger people, once we reach middle-age it seems that we settle down into more sensible routines and consideration before attempting spectacular displays of physical agility. Until, for some mysterious reason, we become grandparents. Being out with the kids is great fun – you are being healthy and active. Playing games with the kids is also great fun – look what granddaddy can do. But there should be a red flag floating in view….don’t do what the kids do. If they can do a backward flip off the pier, it’s not a good idea to demonstrate how good you were when you were their age. There are plenty of (sadly) hilarious videos of older people attempting young people’s stuff. The bicycle (if you haven’t ridden one for 40 years) is a no-no. Likewise the scooter, the skateboard, and the trampoline. And do not, dear granny, climb gaily into the jungle gym. So keeping good bones is a matter of habit and good sense. However, breaking bones is painful and inconvenient – but they will mend. They’re quite good at that, so while you should be careful, a fracture should not necessarily affect the rest of your life. Blood will immediately issue from the blood vessels in the bone to clot around the fracture. It becomes a network of proteins that temporarily plug the gap created by the break. Stem cells from the bone marrow spring into action and migrate to the fracture. These cells kickstart two different actions that allow bone to heal: bone formation and cartilage formation. In a very similar way to the production of normal bone, new bone starts to form at the edges of the fracture. Cells produce soft cartilage between the broken ends. This soft callus is then replaced with hard, bone-like callus. But new bone only starts to form around 3 – 4 weeks after the injury. Depending on the size and the site of the fracture, this can take from around 6 weeks to 3 months. Get good habits. Keep good habits. The usual suspects are on this list. A balanced diet should include good sources of calcium such as: milk, cheese and other dairy foods, along with green leafy vegetables, such as broccoli, cabbage and okra, but not spinach (thank goodness!). However, don’t forget a range of other foods such as: nuts, seeds, peas and beans of all shapes sizes. A good diet usually means less weight, which means an easier life for your bones. While your bones are healthy and strong is the right time to take action to ensure they will remain that way. So there are a variety of exercises you can do from playing sport to walking/jogging/hiking. Weight-bearing exercises will be your best bet – so make sure you add some of that into your mix. 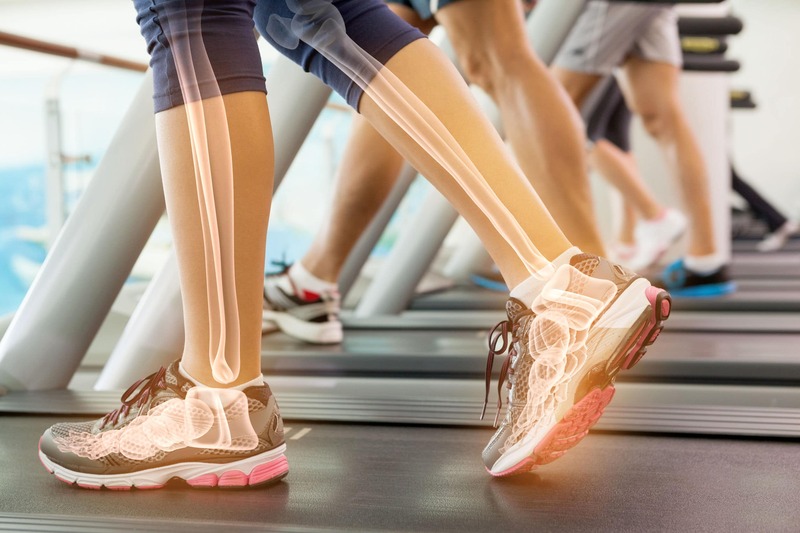 Weight-bearing is the most effective way to increase bone strength. You’re working against the force of gravity, which means any activity on your feet is helpful: running, jumping, aerobics, etc. For those who want something gentler but which also helps bones, you can make good use of yoga, dancing, swimming and cycling. Love your bones! Have fun – but please think before you go skydiving, bungee-jumping or stock car racing.